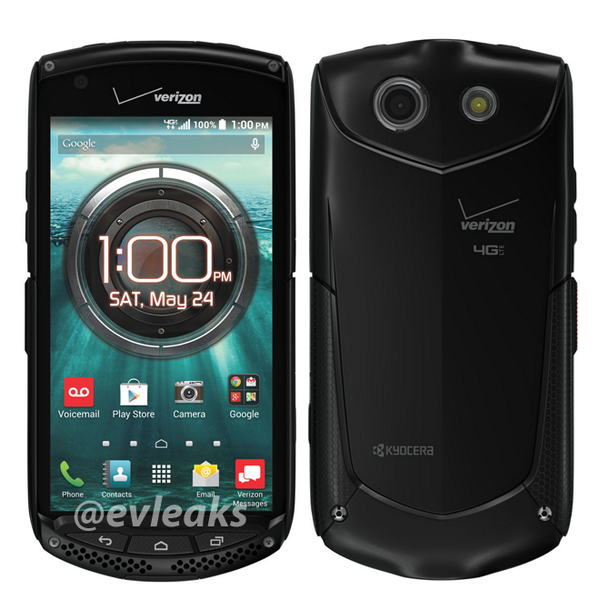 We don't know anything about the Verizon-bound Kyocera Brigadier other than the name and that it's headed for Big Red (the only time the heavy Verizon branding does any good). We can only assume it's a rugged device from the appearance – big rubbery edges, exposed screws, and so on. It does appear to be running KitKat based on the white status bar icons, though. Don't be surprised if this thing pops up on Verizon's site at some point in the not too distant future. Just breathe deeply, don't think about throwing up, and it'll all be okay.